A approximately 8:45 a.m. on Thursday, a New Jersey transit train crashed into Hoboken Terminal, causing three confirmed casualties and over 100 injuries, many of which are critical. Witness accounts of the Hoboken train crash and its aftermath are flooding in via social media, with pictures and details that help piece together the shocking incident. 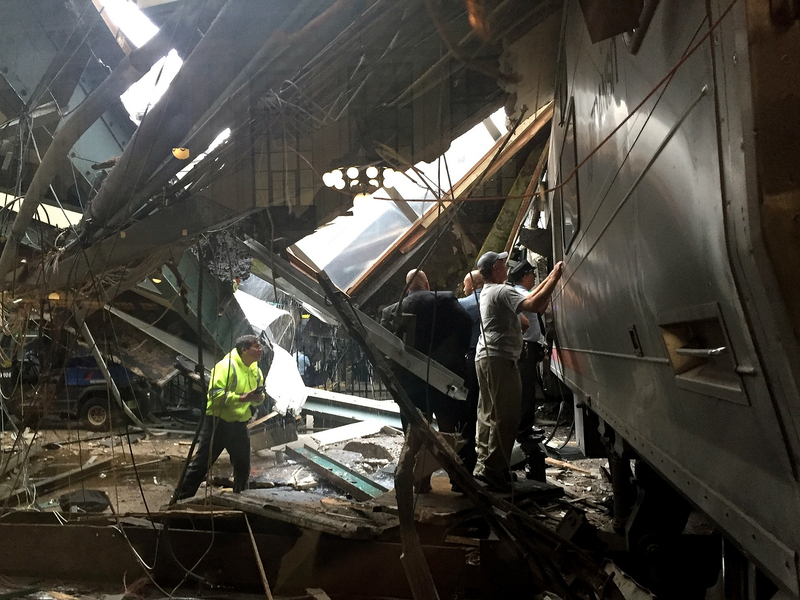 The train was a Pascack Valley line that had departed from Spring Valley, and was on its way to Hoboken as it crashed into the terminal building on Track 5, not only injuring people, plowing into the historic station. At such a busy commuter's hour, with so many witnesses, victims and passerby, the accident was experienced by hundreds. Officials have ruled out an immediate signs of terrorism, although the official statement from NJ Transit says they have yet to confirm the cause of the crash. Passengers and bystanders who left the scene unscathed or with lesser injuries are offering what details they can about the incident through social media. As more officials arrive, the investigation will continue to move forward and hopefully bring people answers soon. These are some of the grim witness accounts that have made their way to Twitter. This post will update with more information as it becomes available.